America's Best Value Inn All rooms include free WiFi, minifridges, microwaves and coffeemakers. 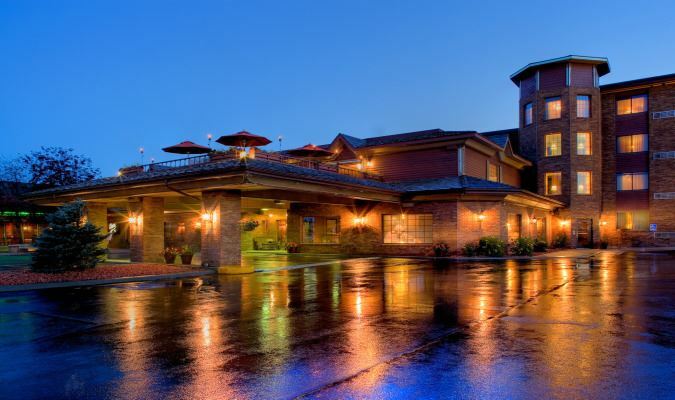 A complimentary continental breakfast, fitness center, seasonal outdoor pool with hot tub. Business center, meeting space, laundry facilities and Trailer parking. All rooms include free WiFi, minifridges, microwaves and coffeemakers. A complimentary continental breakfast, fitness center, seasonal outdoor pool with hot tub. Business center, meeting space, laundry facilities and Trailer parking. 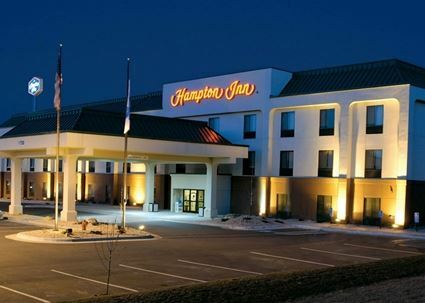 Hampton Inn Contemporary rooms feature free Wi-Fi, flat-screen TV's, coffee maker & custom-designed beds, free daily hot breakfast, weekday breakfast bags to go, indoor pool with slide, fitness center, trailer parking, and meeting space. Contemporary rooms feature free Wi-Fi, flat-screen TV's, coffee maker & custom-designed beds, free daily hot breakfast, weekday breakfast bags to go, indoor pool with slide, fitness center, trailer parking, and meeting space. 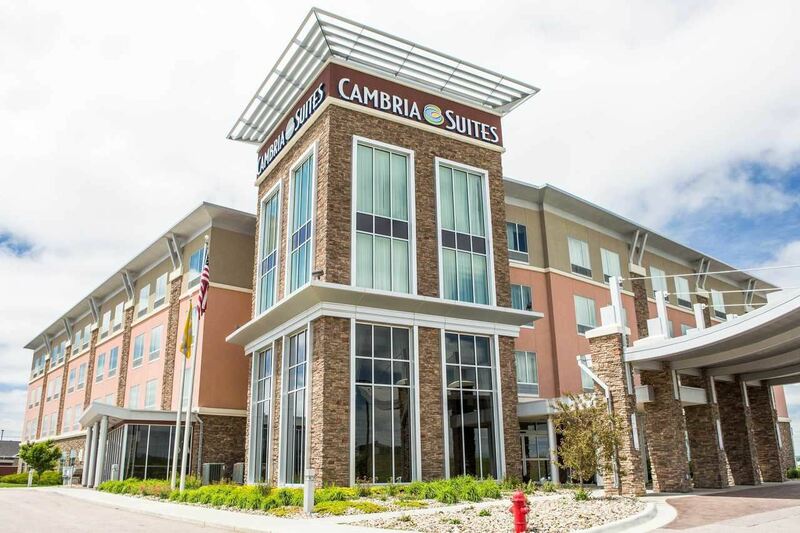 Cambria Suites Suites provide free wi-fi, microwaves, micro fridge, coffeemaker, shuttle service, property has bistro/bar, indoor pool, hot tub & sauna, business center, meeting space and guest laundry. Suites provide free wi-fi, microwaves, micro fridge, coffeemaker, shuttle service, property has bistro/bar, indoor pool, hot tub & sauna, business center, meeting space and guest laundry. 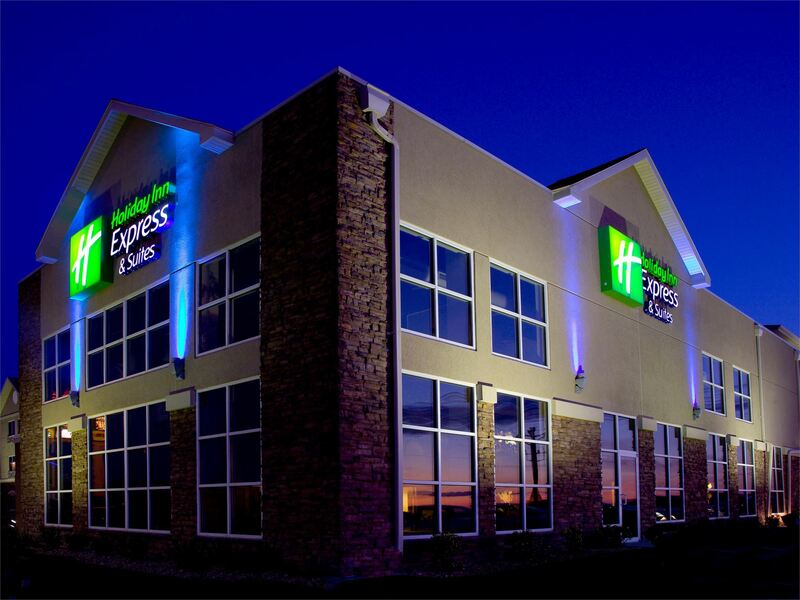 Holiday Inn Express I-90 Featuring modern decor, free wi-fi, satellite TV, coffeemakers, breakfast buffet, trailer parking, laundry service, indoor pool, 24-hour gym, and a business center. Featuring modern decor, free wi-fi, satellite TV, coffeemakers, breakfast buffet, trailer parking, laundry service, indoor pool, 24-hour gym, and a business center. 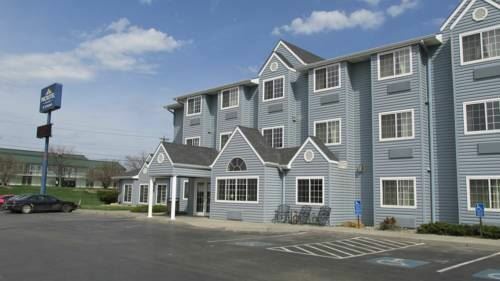 Microtel Inn & Suites Casual rooms feature free wi-fi, TVs, microwaves, minifridges, coffeemakers. Property includes trailer parking, indoor pool, coin-operated laundry, business center and Pet are welcome. Casual rooms feature free wi-fi, TVs, microwaves, minifridges, coffeemakers. Property includes trailer parking, indoor pool, coin-operated laundry, business center and Pet are welcome. 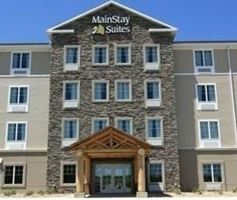 MainStay Suites Low-key studios and 1-bedroom suites feature complimentary Wi-Fi, flat-screen TVs, kitchenettes, dining tables & sitting areas; most have living rooms. Property includes trailer parking, shuttle parking, indoor pool, and continental breakfast & gym. Low-key studios and 1-bedroom suites feature complimentary Wi-Fi, flat-screen TVs, kitchenettes, dining tables & sitting areas; most have living rooms. Property includes trailer parking, shuttle parking, indoor pool, and continental breakfast & gym. 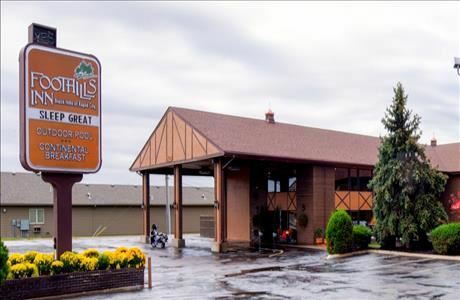 Foothills Inn Reasonable rates and located just off Interstate 90! Jacuzzi suites available and most rooms have direct access to the outdoor pool. Free continental breakfast, guest computer, printer and fax machine access. 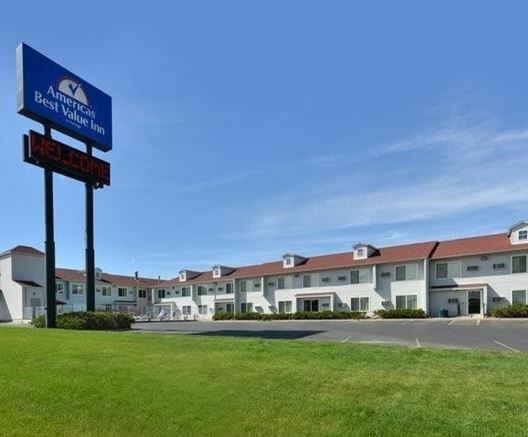 Reasonable rates and located just off Interstate 90! Jacuzzi suites available and most rooms have direct access to the outdoor pool. Free continental breakfast, guest computer, printer and fax machine access.